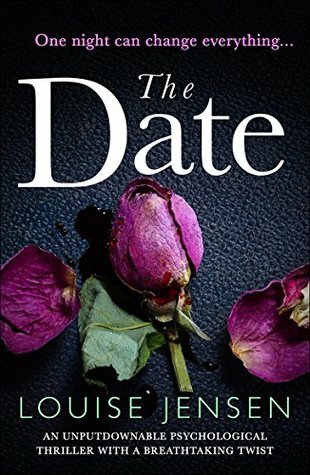 The Date by Louise Jensen is one of those books that is just all kinds of weird but a good kind of weird that only a psychological thriller can give you. From the very first few pages I knew I was going to be in for one heck of a ride. The story starts as Ali is waking up from a night that she cannot remember to save her life. Ali knows that she had been planning on going out with her friend/roommate to head to a club and meet a blind date from then out it’s a blank. No idea of what happened or how she came to be home at all. Now waking up with no memory is enough to gain a slight interest sure but as Ali is coming to terms with no knowing she heads to a mirror and sees a face looking back that she doesn’t recognize at all….. WHAT? How can she not know her own reflection? I’ve heard of black market organ stealing but is Ali the victim of being drugged and someone performing plastic surgery? Attention skyrocketing…. But the next thing in the story is someone coming to the door and Ali afraid to answer. It’s most definitely a man but Ali realizes her purse and keys are missing so is this whoever drugged and left her here??? No, in walks Ali’s own brother who she can’t recognize at all either! Mind starts going 100 MPH. So as you can tell this one is already falling into the WTH did I just read category on the opening pages. To explain all of this comes a really big medical term I had not ever heard of and a condition I honestly thought the author was making up….not possible, right? Calling Uncle Google I need answers now! Alrighty, so it is real. And Louise Jensen has taken this very interesting medical condition and written a book around it which had me turning the pages frantically to find out what the heck would happen. As the story unfolded I really could not put it down and kept rearranging my theories (when I could even think of something) all the way to the end. So yes, I enjoyed the book and I also learned something! Louise lives with her husband, children, madcap dog and a rather naughty cat in Northamptonshire. 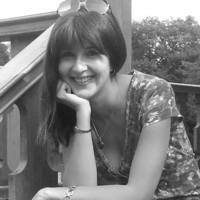 She loves to hear from readers and writers and can be found at http://www.louisejensen.co.uk, where she regularly blogs flash fiction and writing tips. Woohoo! I hope you love it too. I honestly had no clue this even existed but I think she did a great job giving the story an authentic feel to it from what I read when I looked it up. Oh how I loved this book! Like you, I Googled Face blindness and was surprised to find out that it is real and there are many cases of people who have suffered from it including Brad Pitt. Reading this story made me think about how terrifying the condition is. Totally agree with you about this being weird but utterly gripping. Great review! Haha I’m glad to hear I’m not the only one running out to Google the condition to see if she was making it up or not. I honestly had no clue this existed and was quite curious about it which made me that much more interested in what was going on in the book. I’m one that has a horrible memory for faces or details… like does someone have a mustache, freckles, scars etc and so forth. I can recognize family, friends and those I’ve seen quite often even if I can’t recall people from one meeting or years ago so I couldn’t imagine what that must feel like to not know anyone or even yourself every time you look. I am exactly the same way. I have never been good with faces. It is always embarrassing to meet people who know me so well but who I can’t remember much about them, like where I met them or who they are. I bumped into a lady last evening who knew my name, where I worked and even where I lived. Her face looked familiar but I was too embarrassed to ask her who she was. Like you said, being face blind though sounds like a nightmare. Great review Carrie. I had heard of that problem before but not sure if it was a book, TV show or a movie that showcased it. I want to read this one, but am still pending for it. Might have to buy this one. Thanks Carla! Hopefully you will hear something soon on it. It definitely gives a different look into the story when the MC can’t distinguish those around her.